Elements Applied: The bark and the leaves are commonly applied in herbal medicine. Used For: The bark is specifically used for fighting fevers and increasing urination. Leaves in their turn are applied for constipation. Additionally the bark is applied for killing bowel helminthes, though its primary application consists in treating fever. The leaves are successfully applied in Europe for treating common constipations and rheumatic pains. Additional Info: Bird’s tongue is indigenous to Europe. It’s a tree that may reach a height of 120 feet on average. 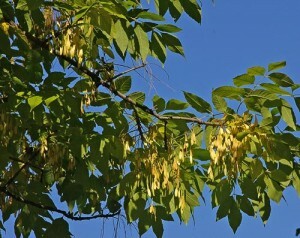 It is usually found in the streets and in park areas, while naturally growing in the forests. The leaves are complex and have seven acute-shaped leaflets. The tree blossoms in the spring, before the time the leaves appear. Its fruit contains only one seed. Preparation and Intake: The bark is taken from young twigs and branches. To make an infusion take 1-2 teaspoons of leaves and fill them up with half a cup of warm water. Let infuse for 2-3 minutes, and filter the mixture. Used in a dose of one to one and a half cups per day, with no sugar, a deep swallow a time. To make a decoction take 1 teaspoon of bark and fill it up with half a cup of water. Boil it up, and infuse for 2-3 minutes. Use in a quantity of a half to one cup per day, with no sugar, a deep swallow a time. The taste may be aided by sweet marjoram, or peppermint, if necessary). Safety: There is no data concerning the plant’s safety level.